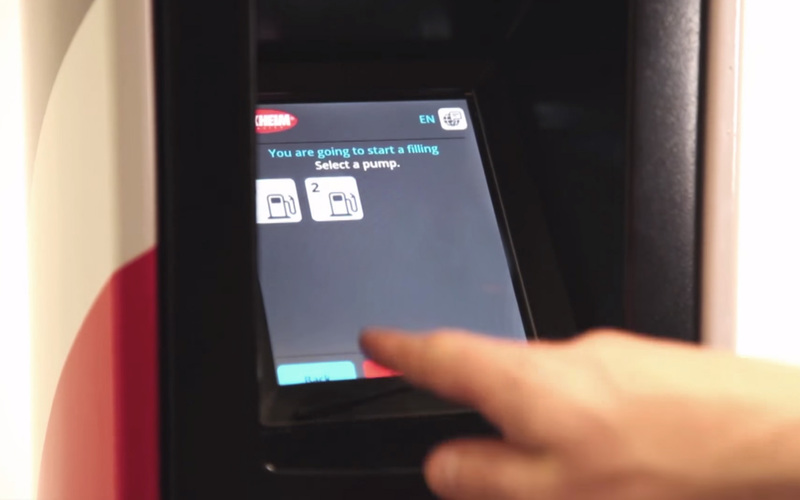 Tokheim wanted to redesign its touch-enabled payment terminal. The challenge was to find the right balance between the habits of the broad customer base and the needs of an evolving product. Over its lifetime, so much functionality had been incrementally added to the product that it had become complex to maintain and to extend. The product’s user interface not only had to be made visually more appealing, it also needed to adapt to a potentially wider product offering and new payment methods. We started with a field study during which we talked to users and station managers to get a feel for the current situation. The flow diagram encapsulating all possible hardware configurations, payment methods and product offerings was redesigned to be more efficient for the user and easier to maintain for Tokheim. We paid particular attention to error handling and user guidance in the case of mishaps, as well as the existing task flow, which users performed in a semi-unconscious manner. The new visual design included intuitive and clear icons. Moreover, both the detailed design and the visual design were tested twice in a live context. Our low fidelity hardware prototype, incorporating a touchscreen, allowed us to test realistic situations, paying close attention to the link with other input/output devices. The newly designed terminal enables higher customer throughput thanks to an efficient task flow and clear user guidance. Moreover, the product has become easier both to configure and to extend, thus adapting to future product offerings and payment solutions. With the new design, Tokheim can now offer each of its clients the product most suited to their particular commercial strategy.